Please join us on Saturday! We'd love to have you! Please join us THIS Saturday for Meet Your Neighbour Day, in Elmcreek Park (behind Malton Community Centre). 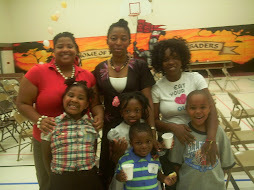 Malton Moms will be there from 12-4pm, with plenty of activities for the kiddies, and the parents! This is a great opportunity to come out and meet the other great members of our community. This is a FREE event, and a great way to relax after the first, very busy week of school. Malton Moms are hosting this event along with the Malton Community Building Project (MCBP), REsident Rejuvenation and Bonnie Crombie. There will be storytelling, face painting, cupcakes and many more fun activities! 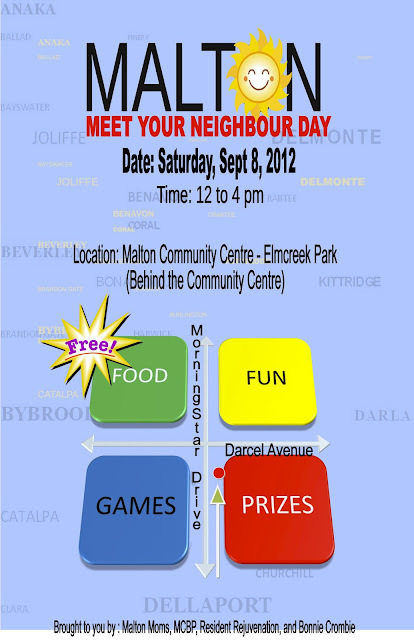 Please come out and show your support for a few organizations trying to help make Malton better for all of us! Cakes, Cupcakes, and Cookies! OH MY!